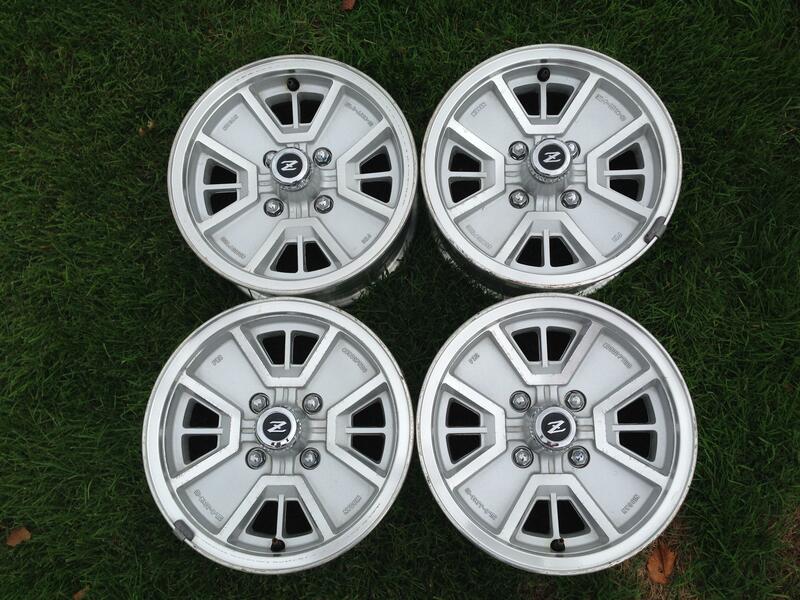 Complete matched set of nearly NOS 1979-1983 Datsun/Nissan 280ZX 4 spoke Iron Cross wheels with center caps and chrome bolts. I purchased them from dealer parts department around 1978. They were pulled from a new car by the dealer (owner wanted wire baskets). They were never re-installed and have been in my garage almost 40 years. They should also fit earlier Datsun 280Z as that was the car I was going to install them onto. 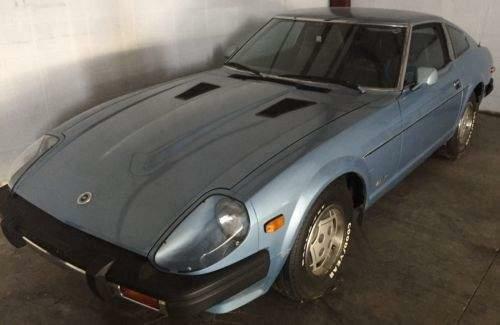 However, I traded the car for a new 280ZX and kept them as backup wheels in case of theft. A set of NOS center caps can go for as much as $250 on ebay. A very worn set of rims with center caps goes for about $300 plus shipping. I was quoted $890 for a refinished set (they are currently out of stock and don’t expect replacement for months) plus tax and shipping and would not include the bolts. Hey dude, do you still have these? I live in Dothan, Alabama...moved down here a couple of years ago from Nashville. Thanks! Please email Barry at the email address on the ad: bfinck51@gmail.com. He still has them, but I merely posted the ad for him. Thanks for your interest. 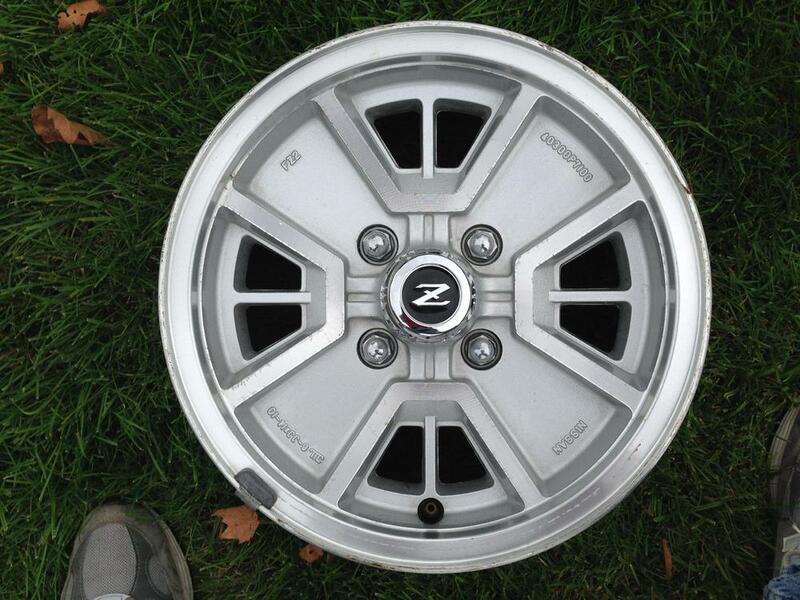 Yes I still have the 280Zx wheels. When would you like to check them out? IDK, I'll let you know...soon though. I had some like them on an 83 XZ that I had back in the day. I have a 79 I'm restoring and I hate those factory wheels and hubcaps...anyway, I'll be in touch. Also, I just live across the river in Dothan, Alabama....not from here though, moved down here a couple of years ago when I got out of the Marine Corps...I;m disabled and spend most of my time on the car...it helps me wit my PTSD. Thanks again bud!